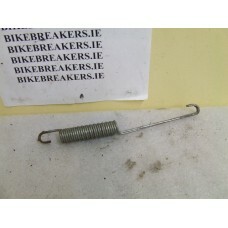 RESISTOR TO FIT A AE50.. 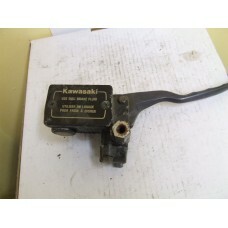 THIS PICK UP WAS TAKEN OFF A RUNNING BIKE ,MAY FIT OTHER KAWASAKI MODELS ,CHECK PIC.. 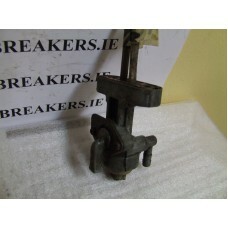 THIS IS A GOOD WORKING REGULATOR TO FIT A OLD TYPE AR 125.. 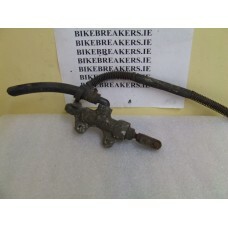 THIS IS A GOOD WORKING REGULATOR TO FIT A AR 50.. 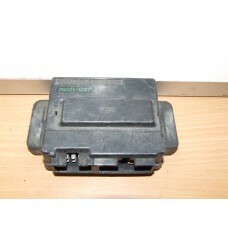 THIS IS A GOOD TESTED CDI UNIT TO FIT A AR 50/80.. 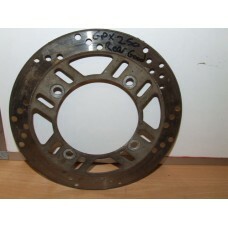 THIS IS A CDI TO FIT A ELIMINATOR ,PLEASE CHECK THE PIC AS THIS MAY FIT OTHER MODELS AND YEARS ,..
ELIMINATOR 250 FRONT BRAKE DISC ? 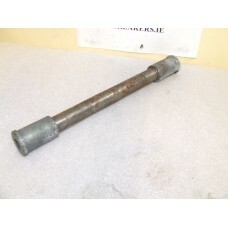 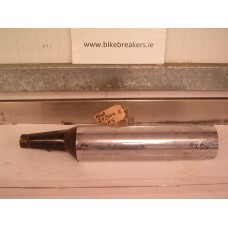 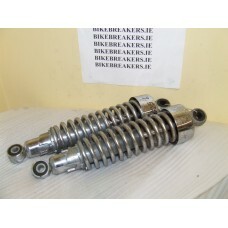 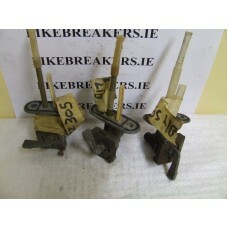 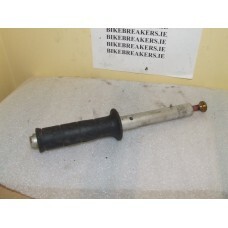 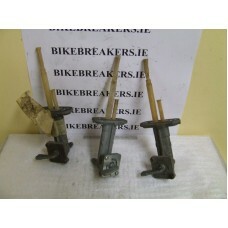 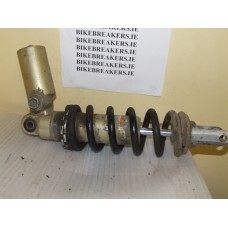 THIS IS A SET OF REAR SHOCKS IN GOOD CONDITION TO FIT A EL 250 ELIMINATOR.. 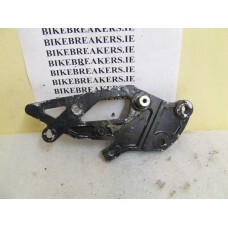 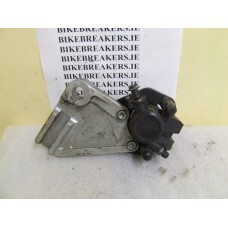 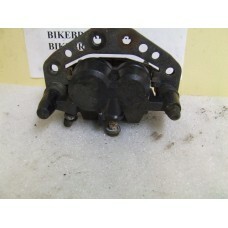 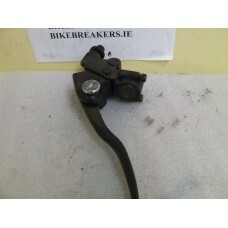 THIS IS A GOOD WORKING REGULATOR TO FIT A ELIMINATOR 250..
TAIL LIGHT UNIT TO SUIT ELIMINATOR 250 ,FAIR CONDITION . 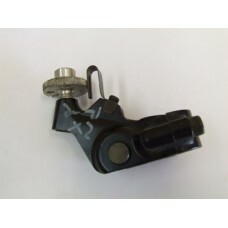 THE LENS HAS BLACK PAINT ON IT ,THE BASE ET.. 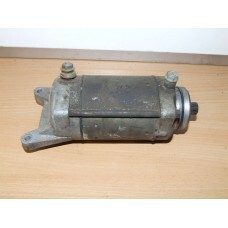 THIS IS A GOOD STARTER MOTOR AND WILL FIT AN EN 500 90-93.. 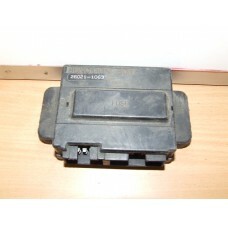 THIS IS A GOOD WORKING CDI UNIT FOR A EX 250 AND A GPZ 250.. 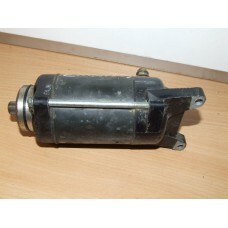 THIS IS A GOOD STARTER MOTOR AND WILL FIT A EX-4 M AY FIT OTHER MODELS.. 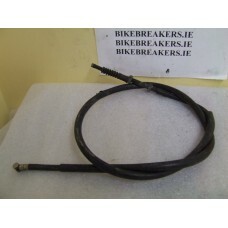 THIS IS A WORKING COIL FOR A EX 400 MAY FIT OTHER MODELS..
FUEL TAP TO FIT EX 400 , MAY FIT OTHER MODELS AND YEARS CHECK PIC..
GODD WORKING GENERATOR TO FIT A EX 400..
pick up to fit a EX 400,came off a running bike.. 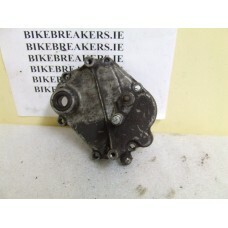 CLUTCH LEVER BRACKET WITH A GOOD LEVER..
REAR BRAKE CALIPER WILL FIT EX 400 OR GPZ500 ,CHECK PICS..
LEFT SIDE HANDLEBAR IN GOOD CONDITION..
THERMOSTAT,HOUSING AND PIPES AS SEEN IN PIC..
CARB RUBBERS IN GOOD CONDITION ,SOLD AS A SET OF 2..
CHOKE CABLE IN GOOD WORKING ORDER.. 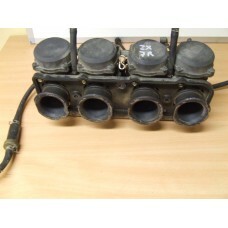 CLUTCH CABLE IN GOOD WORKING ORDER..
CUSH DRIVE RUBBERS ,SOLD AS A SET ,NOT AS LOT OF WEAR ON THEM..
ENGINE COVER IN GOOD CONDITION , SEE PIC.. 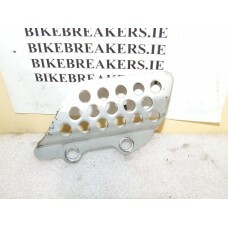 FOOT PEG BRACKET ,SEE PIC..
FRONT AXLE IN GOOD SHAPE..
FRONT BRAKE CALIPER , PISTONS NEED A GOOD CLEANING ,BUT ALL THERE ,SELLING AT A MUCH CHEAPER PRICE T..
FUSE BOX IN EXCELLENT ORDER ,WE WILL EVEN THROW IN ALL THE FUSES :).. 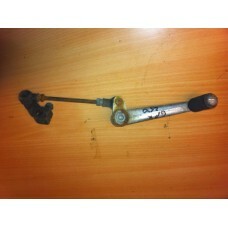 RIGHT HAND SIDE HANDLEBAR IN GOOD CONDITION.. 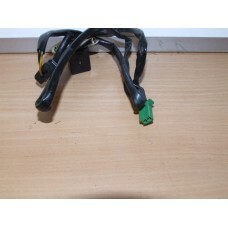 RIGHT HAND SIDE SWITCH BLOCK..
LEFT SIDE SWITCHES IN GOOD WORKING ORDER..
SIDE STAND TO FIT AN EX400 OR A GPZ500..
THROTTLE PULL CABLES ,GOOD ORDER..
THROTTLE RETURN CABLE IN GOOD WORKING ORDER..
RIDERS FOOT PEG HANGER FOR THE RIGHT SIDE IN GOOD CONDITION (NO PEG).. 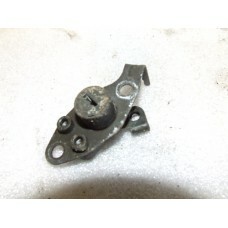 THIS IS AN ORIGINAL END CAN TO FIT A EX 500/GPZ 250 LEFT SIDE..
FUEL SENDER UNIT ,WORKING , CAME OF A RUNNING BIKE..
FUSE BOX TO FIT SEVERAL KAWASAKI MODELS ,,PART NUMBER 26021-1070..
FUSEBOX PART NUMBER 26012-1072 WILL FIT MANY KAWASAKI MODELS, INCLUDING THIS ONE..
USEBOX PART NUMBER 26012-1057, WILL FIT MANY KAWASAKI MODELS, INCLUDING THIS ONE..
FUSEBOX PART NUMBER 26021-1063 WILL FIT MANY KAWASAKI MODELS,INCLUDING THIS ONE..
FUSEBOX PART NUMBER 26021-1064 WILL FIT MANY KAWASAKI MODELS,INCLUDING THIS ONE..
FUSEBOX PART NUMBER 26021-1065 WILL FIRT MANY KAWASAKI MODELS INCLUDING THIS ONE..
FUSEBOX PART NUMEBR 26021-1071 ,WILL FIT MANY KAWASAKI MODELS, INCLUDING THIS ONE..
FUSEBOX PART NUMBER 26021-1079 WILL FIRT MANY KAWASAKI MODELS INCLUDING THIS ONE..
FUSEBOX PART NUMBER 26021-1080 WILL FIT MANY KAWASAKI MODELS,INCLUDING THIS ONE..
USEBOX PART NUMBER 26012-1081 WILL FIT MANY KAWASAKI MODELS, INCLUDING THIS ONE..
FUSEBOX PART NUMBER 26021-1089 WILL FIRT MANY KAWASAKI MODELS INCLUDING THIS ONE..
FUSEBOX PART NUMBER 26021-1090 WILL FIT MANY KAWASAKI MODELS,INCLUDING THIS ONE..
FUEL TAP TO FIT GP 100 , MAY FIT OTHER MODELS AND YEARS CHECK PIC.SOLD INDIVIDUALLY.. 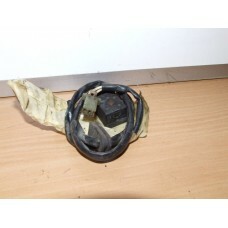 THIS IS A GOOD WORKING PICK UP TAKEN OFF A RUNNING BIKE..
CDI TO FIT A ZXR 400 H MODEL IN GOOD CONDITION ,MAY FIT OTHER MODELS AND YEARS ,SEE PICS ,PART # 211.. 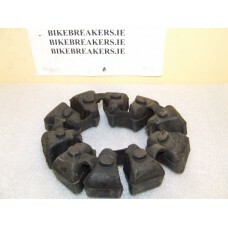 THIS IS A GOOD FRONT BRAKE DISC TO FIT A GPX 250..
FUEL TAP TO FIT GPX 250 , MAY FIT OTHER MODELS AND YEARS CHECK PIC.SOLD INDIVIDUALLY..
GODD WORKING GENERATOR TO FIT A GPX 250.. 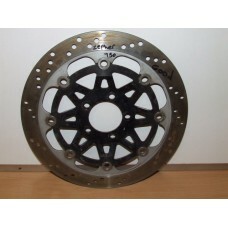 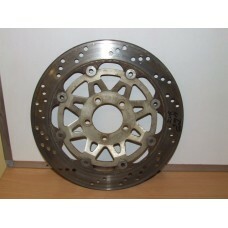 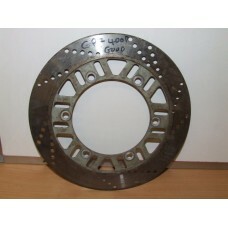 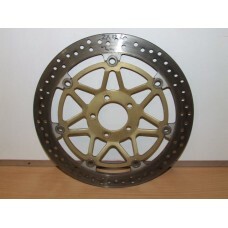 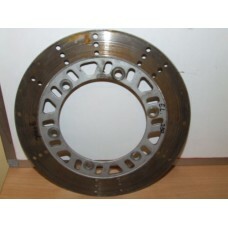 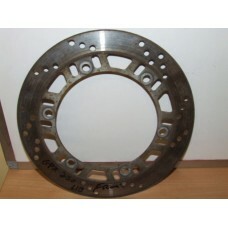 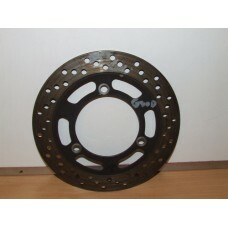 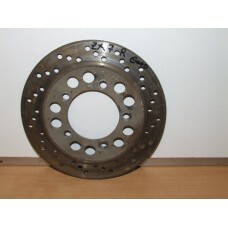 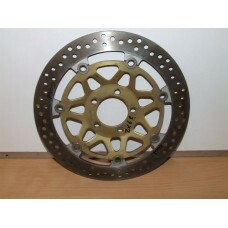 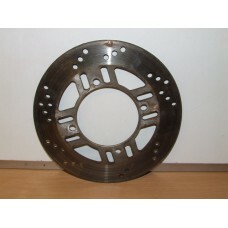 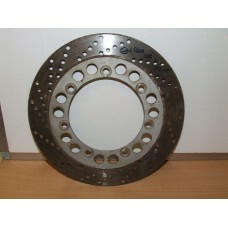 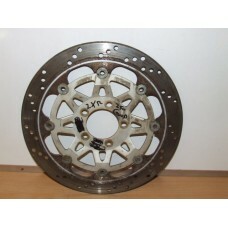 THIS IS A GOOD REAR BRAKE DISC TO FIT A GPX 250.. 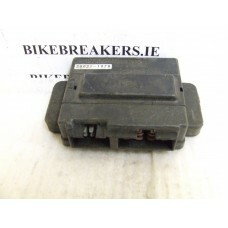 THIS IS A WORKING REGULATOR TO FIT A GPX250..
FUSE BOX TO FIT A GPX 250/ELIMINATOR 250 ,MAY FIT OTHER YEARS AND MODELS ,PLEASE CHECK PIC . 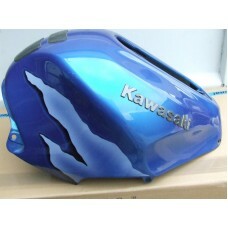 PART# .. 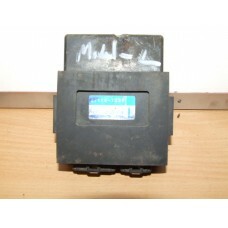 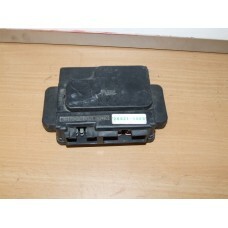 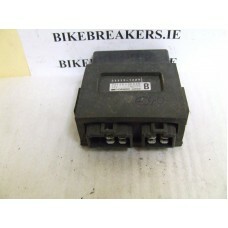 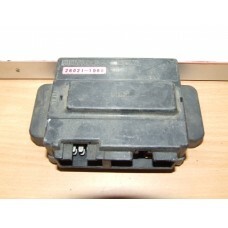 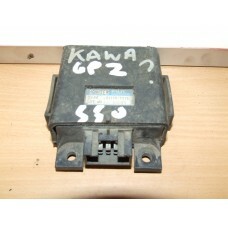 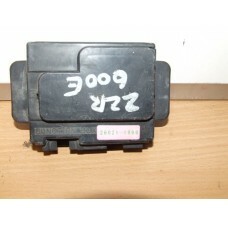 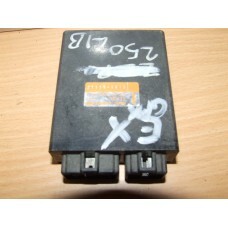 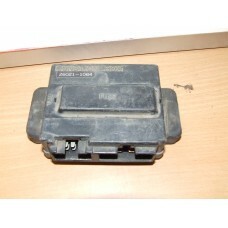 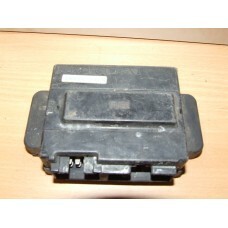 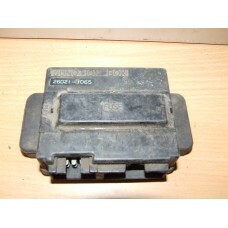 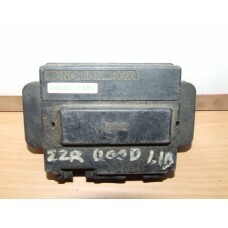 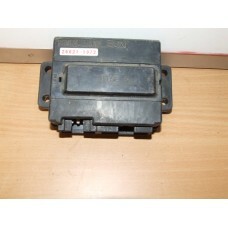 THIS IS A CDI TO FIT A GPX 400 ,PLEASE CHECK THE PIC AS THIS MAY FIT OTHER MODELS AND YEARS ,.. 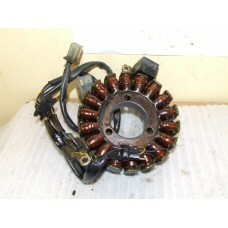 THIS IS A WORKING COIL FOR A GPX 400.. 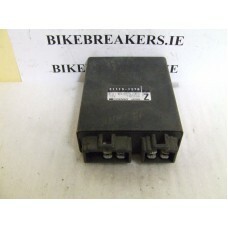 THIS IS A GOOD USED WORKING GENERATOR TO FIT A GPX 400..
FUSE BOX TO FIT A GPZ 1000RX IN VERY GOOD CONDITION , MAY FIT OTHER YEARS AND MODELS ,PLEASE CHECK P..
pick up to fit AGPZ 250 ,came off a running bike..
FUEL TAP TO FIT GPZ 305, MAY FIT OTHER MODELS AND YEARS CHECK PIC.SOLD INDIVIDUALLY..
FUSE BLOCK TO FIT A GPZ 305.. 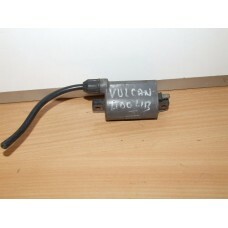 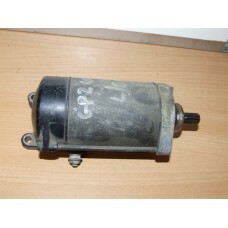 THIS IS A GOOD STARTER MOTOR AND WILL FIT ALL GPZ 400s AND 600s.. 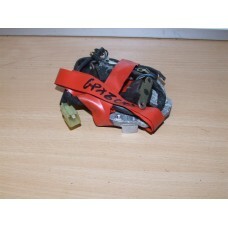 THIS IS A WORKING COIL FOR A GPZ 400..
FUSE BOX TO FIT A GPZ 400 IN VERY GOOD CONDITION , MAY FIT OTHER YEARS AND MODELS ,PLEASE CHECK PIC .. 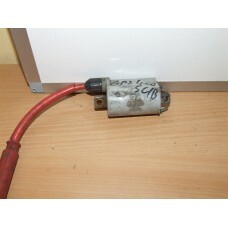 THIS IS A GOOD USED WORKING GENERATOR TO FIT A GPZ 400R.. 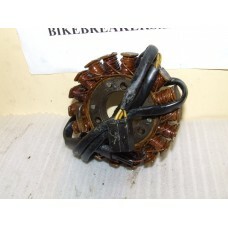 THIS IS A GOOD USED WORKING GENERATOR TO FIT A GPZ 400S..
REAR BRAKE DISC TO FIT A GPZ 500S MODEL IN GOOD CONDITION (CHECK PIC).. 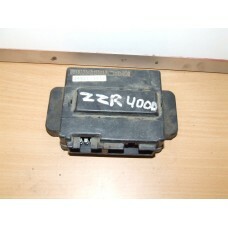 THIS IS A GOOD WORKING CDI UNIT FOR A GPZ 550 /400.. 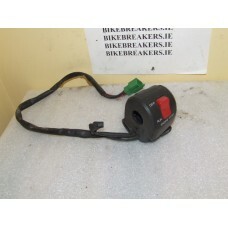 THIS IS A GOOD USED WORKING GENERATOR TO FIT A GPZ 600R.. 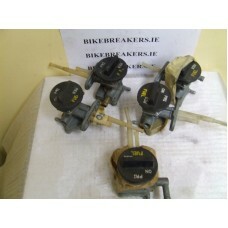 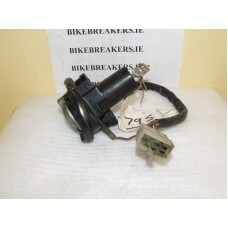 COMPLETE LOCK KIT ,INCLUDING IGNITION,FUEL CAP,HELMET LOCKS KEY TO FIT A GPZ 750.. 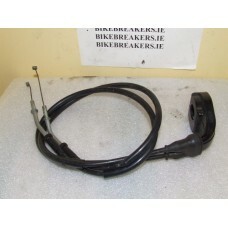 THIS PICK UP CAME OFF A RUNNING BIKE .MAY FOT OTHER MODELS ,CHECK PIC..
IGNITION SWITCH TO FIT A GPZ 750R..
FRONT BRAKE MASTER CYLINDER TO FIT A GT 550 IN GOOD CONDITION , WE DO NOT GUARANTEE SEALS.. 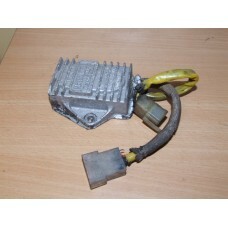 THIS IS A GOOD USED WORKING GENERATOR TO FIT A GT 550.. 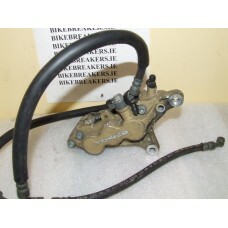 THIS IS A WORKING REGULATOR TO FIT A GT 550..
right hand side pocket and infill for a 1987 gtr1000.. 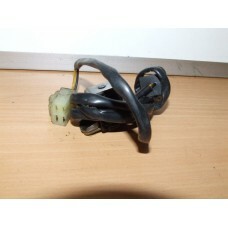 THIS IS A GOOD HEADLIGHT REMOVED FROM A 1987 RUNNING GTR 1000..
GODD WORKING GENERATOR TO FIT A KDX 125 ,NOT SURE WHAT YEAR , TAKE A LOOK AT THE PIC..
FUEL TAP TO FIT KH 100 , MAY FIT OTHER MODELS AND YEARS CHECK PIC.SOLD INDIVIDUALLY.. 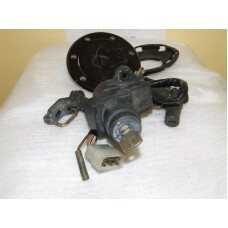 THIS IS A GOOD WORKING REGULATOR TO FIT A KH 100.. 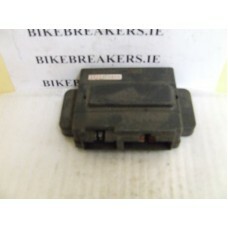 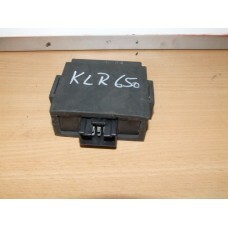 THIS IS A GOOD TESTED CDI UNIT TO FIT A KLR 650.. 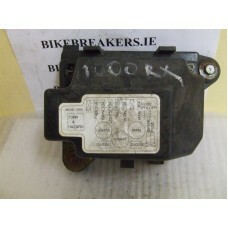 THIS IS A WORKING REGULATOR TO FIT A KMX 125 OR A AR 125.. 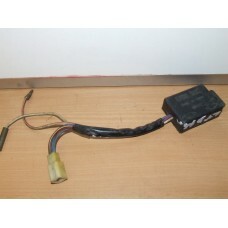 THIS IS A WORKING COIL FOR A KMX 125.. 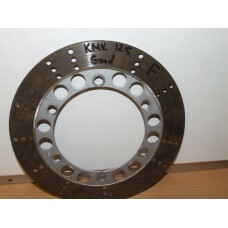 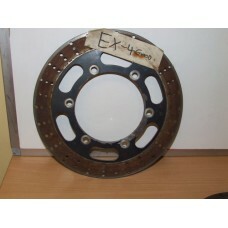 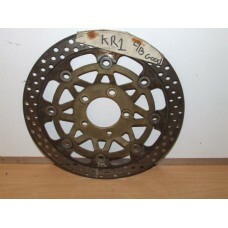 THIS IS A GOOD FRONT BRAKE DISC TO FIT A KMX 125..
FUEL TAP TO KMX 125 , MAY FIT OTHER MODELS AND YEARS CHECK PIC.SOLD INDIVIDUALLY..
pick up to fit a KMX 125 ,came off a running bike..
TAIL LIGHT UNIT TO SUIT A KMX 125 IN GOOD CONDITION ,PLEASE CHECK PICS TO MAKE SURE THIS IS THE ONE .. 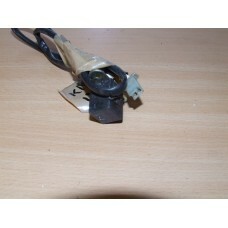 THIS IS A WORKING REGULATOR TO FIT A KMX 200.. 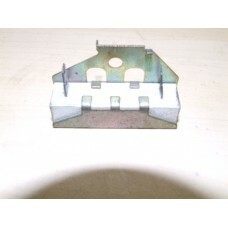 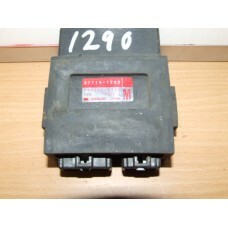 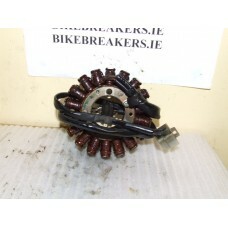 THIS IS A GOOD FRONT BRAKE DISC TO FIT A KR1..
FUSE BOX TO FIT A KR1.. 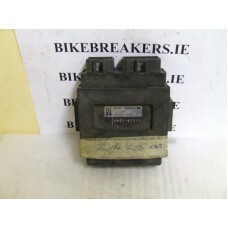 THIS IS A GOOD TESTED CDI UNIT TO FIT A KZ 750.. 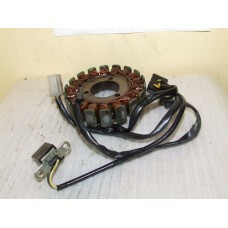 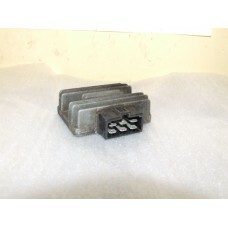 THIS IS A WORKING COIL FOR A VULCAN 400 OR A EN500.. 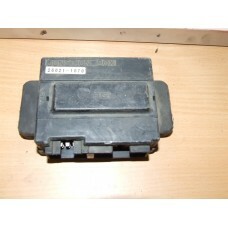 THIS IS A GOOD TESTED CDI UNIT TO FIT A Z440 LTD..
FUSE BOX TO FIT A LTD 440..
FRONT BRAKE DISC TO FIT A ZEPHYR 750 MODEL IN GOOD CONDITION..
GEAR CHANGE TO FIT A ZEPHYR 750 . 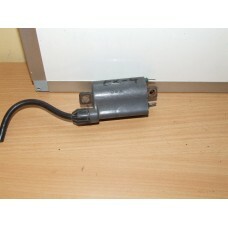 PLEASE CHECK PIC..
GODD WORKING GENERATOR TO FIT A ZR 400 ZEPHYR.. 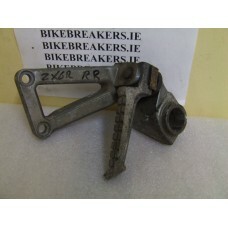 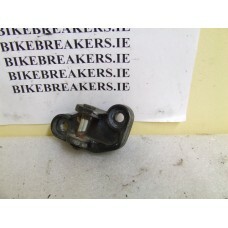 BATTERY CLAMP AND RUBBER STRAP..
BOTTOM YOKE TAKEN OF A 2001 ZX12R.. 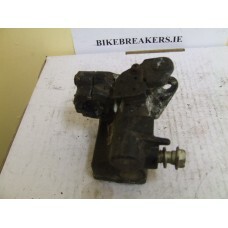 RIGHT SIDE FRONT CALIPER IN GOOD CONDITION.. 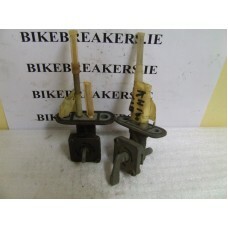 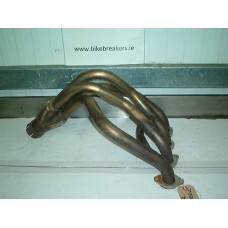 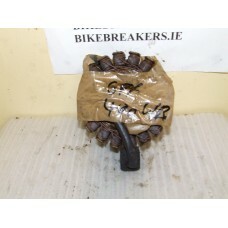 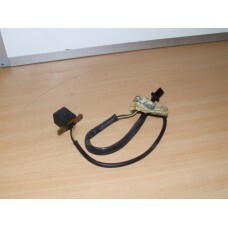 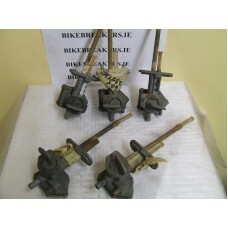 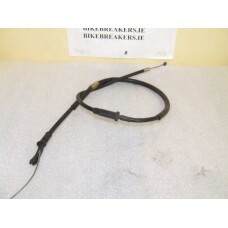 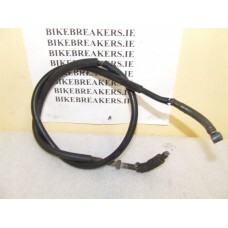 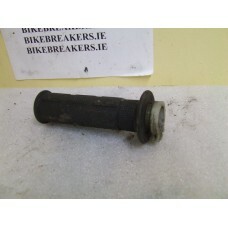 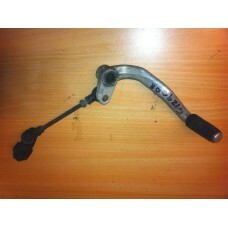 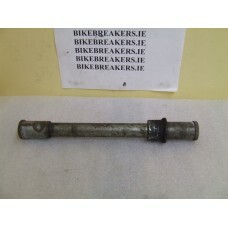 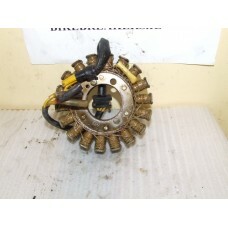 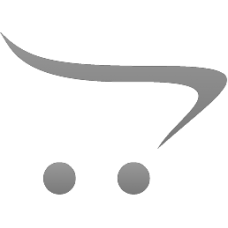 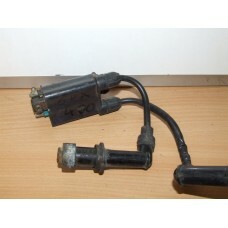 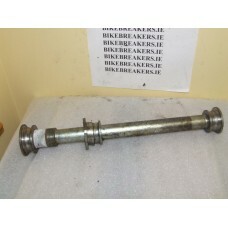 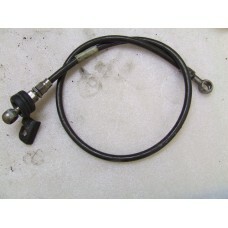 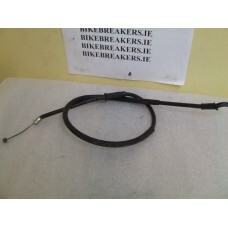 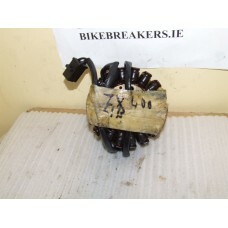 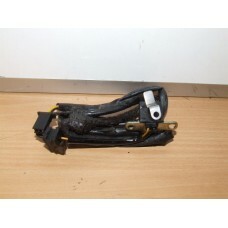 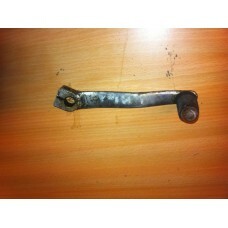 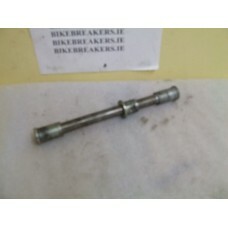 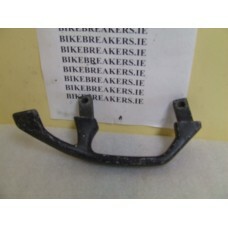 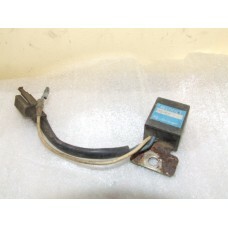 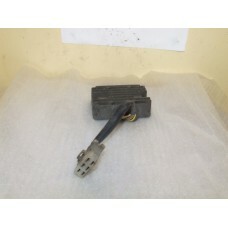 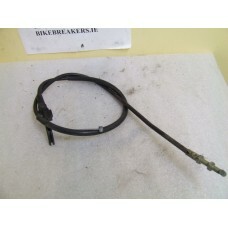 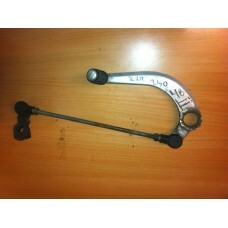 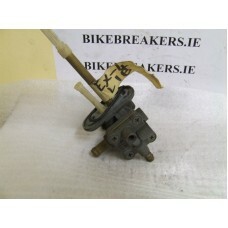 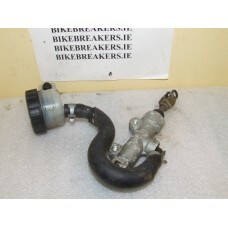 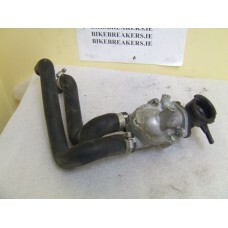 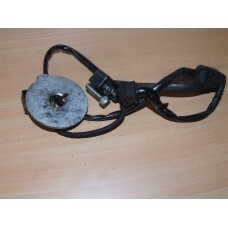 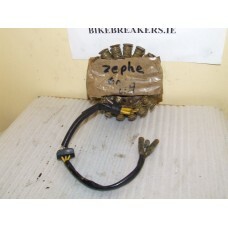 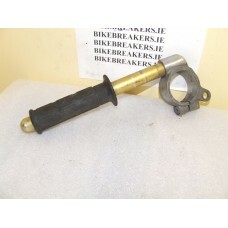 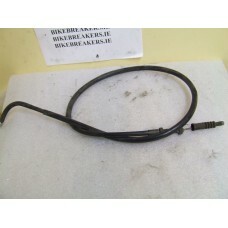 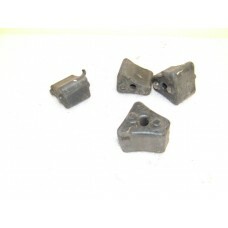 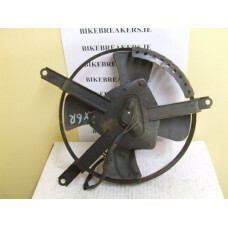 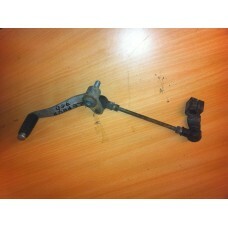 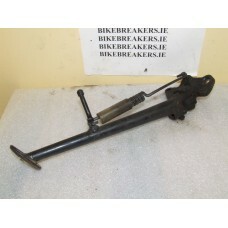 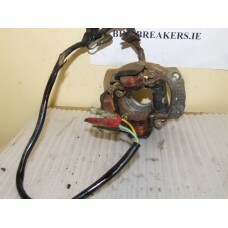 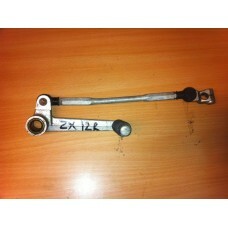 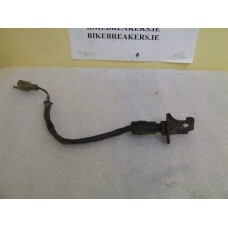 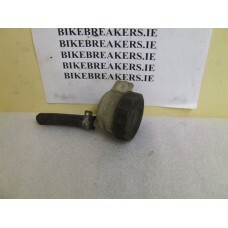 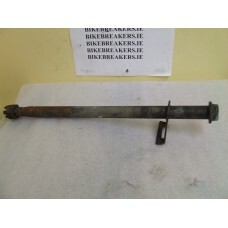 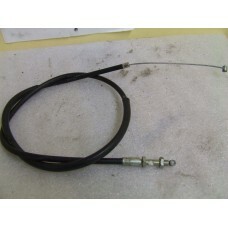 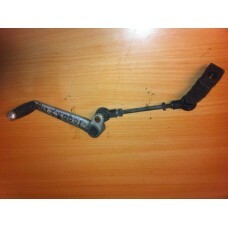 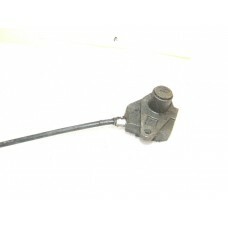 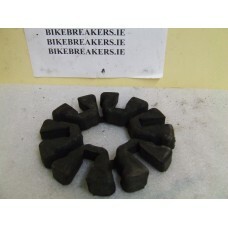 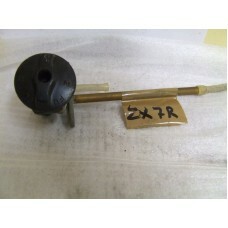 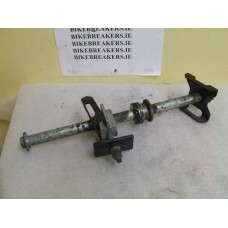 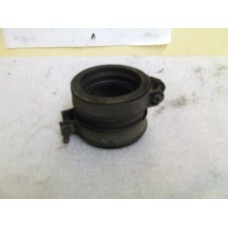 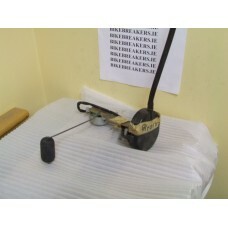 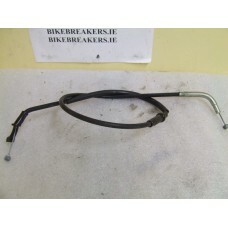 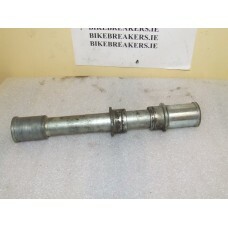 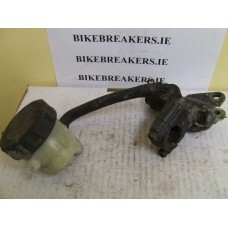 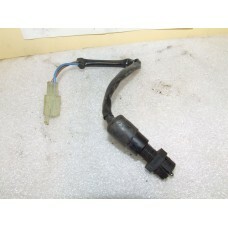 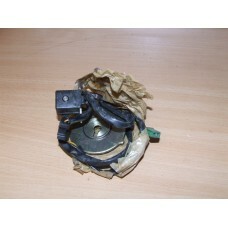 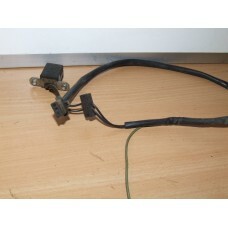 BRAKE HOSE (SHORT)APPROX 2FT 3 INCHS..
REAR BRAKE MASTER CYLINDER WITH RESERVOIR.. 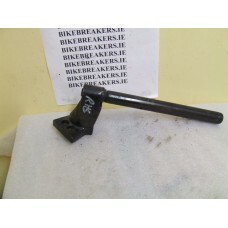 RIGHT SIDE CLIP ON HANDLEBAR ,PERFECT (bar end weight NOT included)..
LEFT SIDE REAR FOOT PEG HANGER..
FRONT BRAKE DISC TO FIT A ZX12R IN GOOD CONDITION..
GOOD WORKING CONDITION,CAME OFF A RUNNING BIKE.. 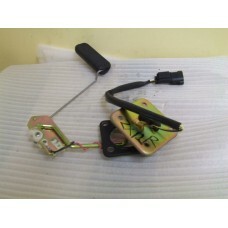 THIS IS A FUEL TANK SHELTER TO FIT A ZX 12 IN EXCELLENT CONDITION..
ZX 12R GEAR CHANGE 00-02 MAY FIT LATER MODELS ,CHECK PICTURE..
LEFT SIDE HANDLEBAR CLIP ON..
LAFT SIDE HANDLEBAR SWITCHES ..,ALL WORKING ,BUT ONE SWITCH CAP MISSING ,HENCE PRICE..
REAR AXLE IN EXCELLENT CONDITION..
REAR BRAKE DISC TO FIT A ZX 12R FROM 00-06 MODEL IN GOOD CONDITION..
rear brake light switch ,in working order.. 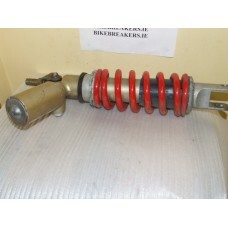 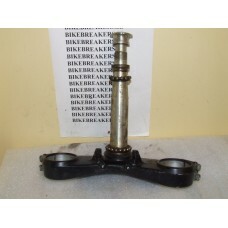 THIS IS A REAR SHOCK IN VERY GOOD CONDITION TO FIT A ZX12R..
SIDE STAND WITH SPRING (NO SWITCH).. 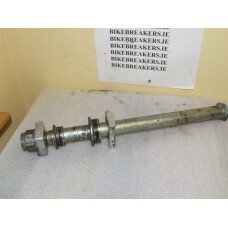 SWING ARM SPINDLE ,IN GREAT CONDITION..
TAIL LIGHT UNIT COMPLETE TO FIT A ZX12R 00-05 ,IN EXCELLENT CONDITION ,PLEASE CHECK PICS TO MAKE SUR..
THROTTLE CABLES WITH THE THROTTLE TUBE GUIDE ATTACHED..
TOP YOKE/FORK CLAMP IN GREAT CONDITION..
CDI TI FIT A ZX 400 IN GOOD CONDITION ,MAY FIT OTHER MODELS AND YEARS ,SEE PICS ,SOLD INDIVIDUALLY P.. 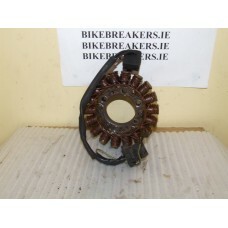 THIS IS A GOOD USED WORKING GENERATOR TO FIT A ZX 400..
REAR BRAKE MASTER CYLINDER ,GOOD..
USED CHOKE CABLE BUT STILL GOOD..
GOOD CONDITION CUSH DRIVE RUBBERS ,SOLD AS A COMPLETE SET..
ELECTRIC FAN TO FITT A ZX 6R F MODEL 95-97 MAY FIT OTHER YEARS ,CHECK PIC ,IN VERY GOOD CONDITION.. 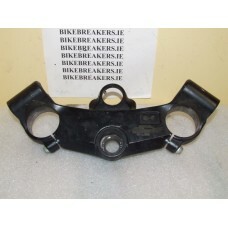 COMPLETE HEADLIGHT UNIT FOR A ZX6-R 1997 SUITS F1-F3 MODELS EXCELLENT CONDITION..
RIDERS FOOT PEG HANGER RIGHT SIDE..
GOOD FRONT AXLE TO FIT A ZX6R..
front brake disc to fit a zx6r in good condition..
FRONT SPROCKET COVER IN GOOD CONDITION..
LEFT SIDE REAR GRAB RAIL.. 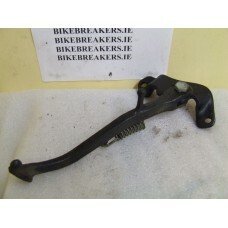 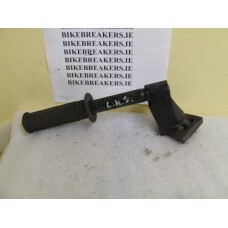 RIGHT SIDE PASSENGER FOOT PEG HANGER WITH PEG..
REAR AXLE TO FIT A ZX6R..
REAR BRAKE LIGHT SWITCH IN GOOD WORKING ORDER..
SEAT RELEASE LOCK AND CABLE ,NO KEY ,..
TOP YOKE /HANDLEBAR CLAMP TO FIT A ZX6R.. 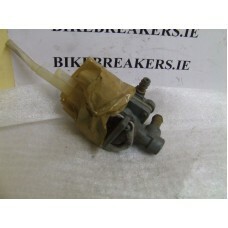 THIS IS A SET OF GOOD CARBS TO FIT A ZX 7R..
FRONT BRAKE MASTER CYLINDER TO FIT A ZX7R ,IN GOOD CONDITION , MAY FIT OTHER MODELS AND YEARS ,CHECK..
FUEL TAP TO FIT ZX7R , MAY FIT OTHER MODELS AND YEARS, CHECK PIC..
REAR BRAKE DISC TO FIT A ZX 7R MODEL IN GOOD CONDITION.. 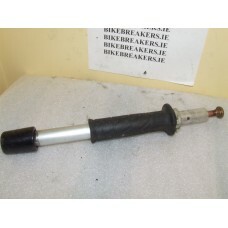 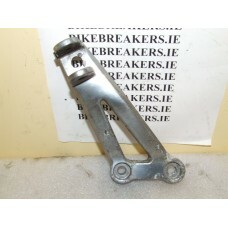 THIS IS A REAR SHOCK IN VERY GOOD CONDITION TO FIT A ZX 7R.. 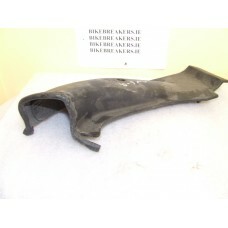 THESE ARE AN ORIGINAL SET OF DOWNPIPES TO FIT A ZX9-R ,E MODEL ,MAY FIT OTHER ZX9 MODELS ,PLEASE CHE..
TAIL LIGHT UNIT COMPLETE TO SUIT A ZX10 88-90 ,IN GOOD CONDITION , VERY LIGHT SCRATCH ON THE LENS ,B.. 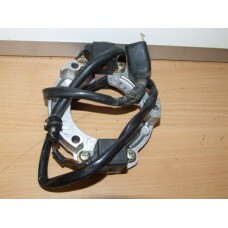 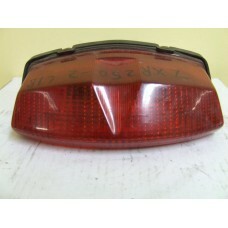 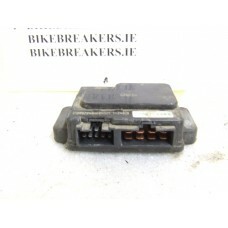 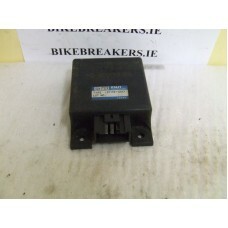 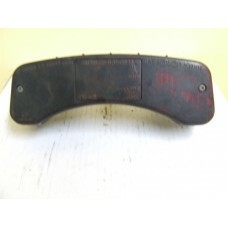 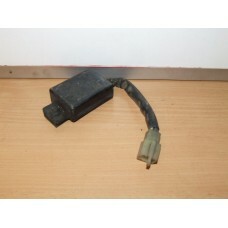 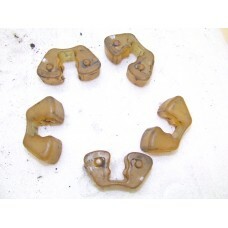 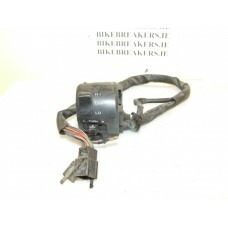 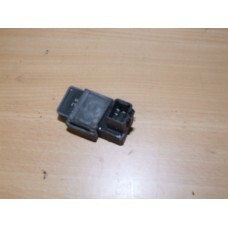 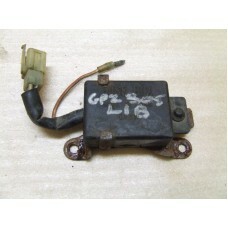 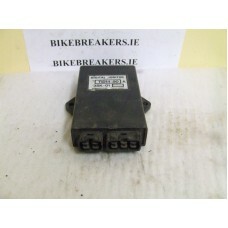 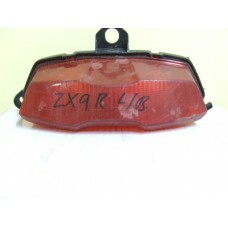 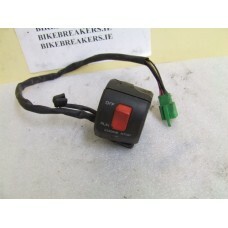 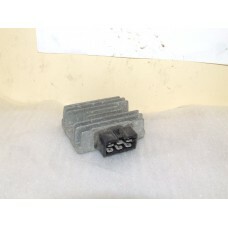 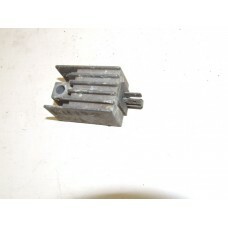 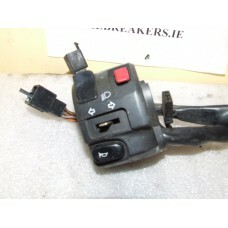 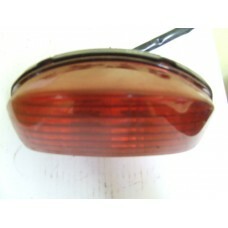 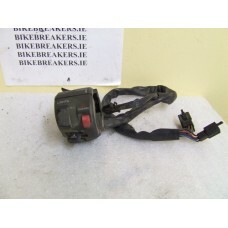 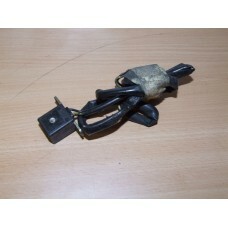 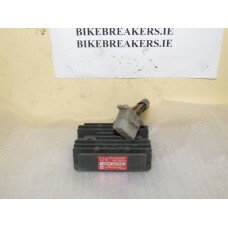 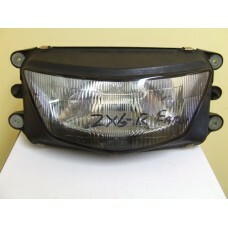 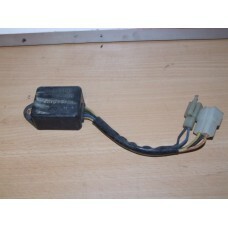 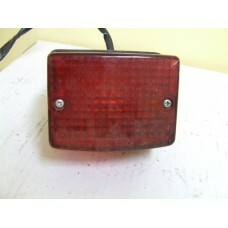 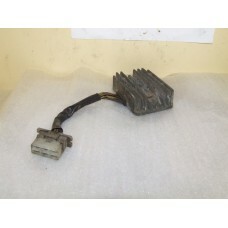 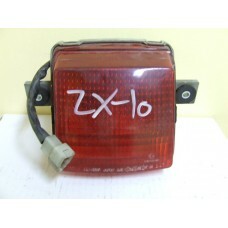 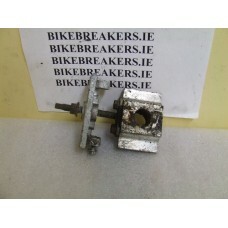 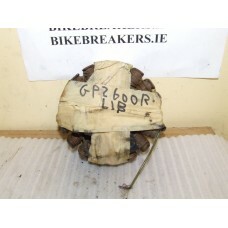 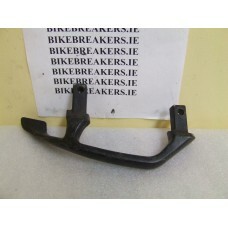 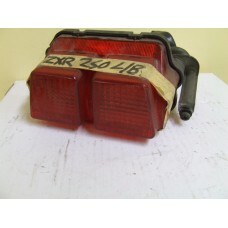 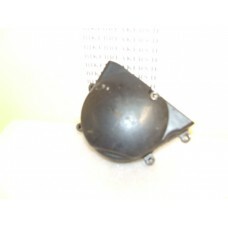 THIS IS A TAIL LIGHT UNIT FOR A 94-97 ZX9R ,IT IS IN FAIR CONDITION , THERE ARE VERY LIGHT SCRUFF MA.. 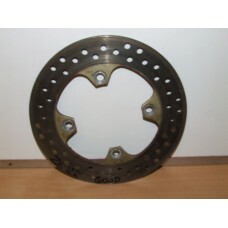 THIS IS A GOOD FRONT BRAKE DISC TO FIT A ZXR 250..
FUEL TAP TO FIT ZXR 250 , MAY FIT OTHER MODELS AND YEARS CHECK PIC.SOLD INDIVIDUALLY..
GEAR CHANGE TO FIT A ZXR 250 ,CHECK PIC.. 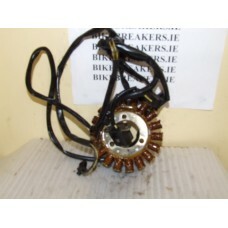 THIS IS A GOOD USED WORKING GENERATOR TO FIT A ZXR 250..
pick up to fit a zxr 250 ,came off a running bike..
TAIL LIGHT UNIT COMPLETE TO FIT ZXR 250 IN VERY GOOD CONDITION ,PLEASE LOOK AT PICS TO MAKE SURE TH..
TAIL LIGHT UNIT COMPLETE TO FIT A ZXR 250-2 IN EXCELLENT CONDITION ,PLEASE CHECK THE PICS TO MAKE SU.. 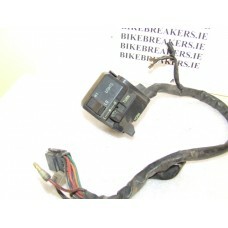 THIS IS A GOOD WORKING CDI UNIT FOR A ZXR 250 H..
CDI TO FIT A ZXR 400 H MODEL IN GOOD CONDITION ,MAY FIT OTHER MODELS AND YEARS ,SEE PICS..
IGNITION SWITCH TO FIT A ZXR 400.. 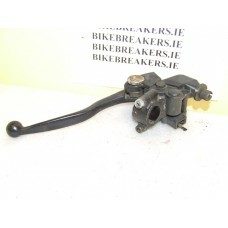 THIS IS A GOOD WORKING CDI UNIT FOR A ZXR 400L..
FRONT BRAKE MASTER CYLINDER TO FIT A ZXR 400 L/B MODEL ,MAY FIT OTHER MODELS AND YEARS , CHECK PIC ,.. 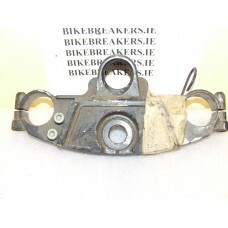 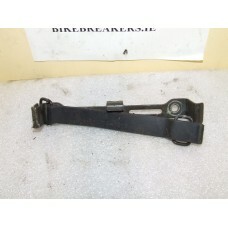 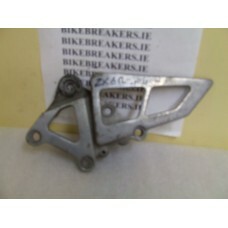 THIS IS THE COMPLETE CLUTCH LEVER BRACKET ASSEMBLY IN VERY GOOD CONDITION..
GOOD CUSH DRIVE RUBBERS ,SOLD AS A SET..
FRONT AXLE IN GOOD CONDITION.. 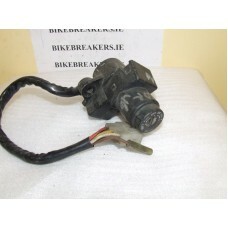 THIS IS A GOOD USED WORKING GENERATOR TO FIT A ZXR 400 H..
ZXR 400H LEFT CLIP ON..
LEFT HAND SIDE HANDLEBAR SWITCH BLOCK ,WE HAVE SEVERAL OF THESE ,SOME HAVE THE LOWER PART OF THE CAS..